Stay up to date with what’s happening at the Palais. 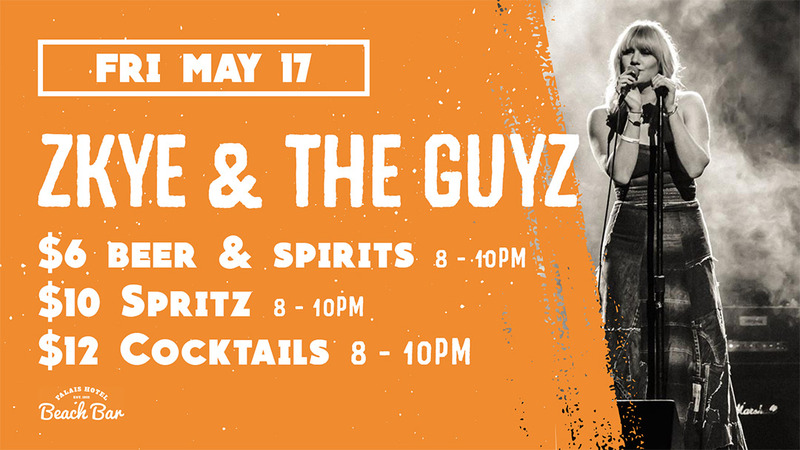 Zkye and the GuyZ rock the Beach Bar – Friday, May 17th. Get ready to rock, this is going to be seriously BIG. Best of all, it’s FREE ENTRY! 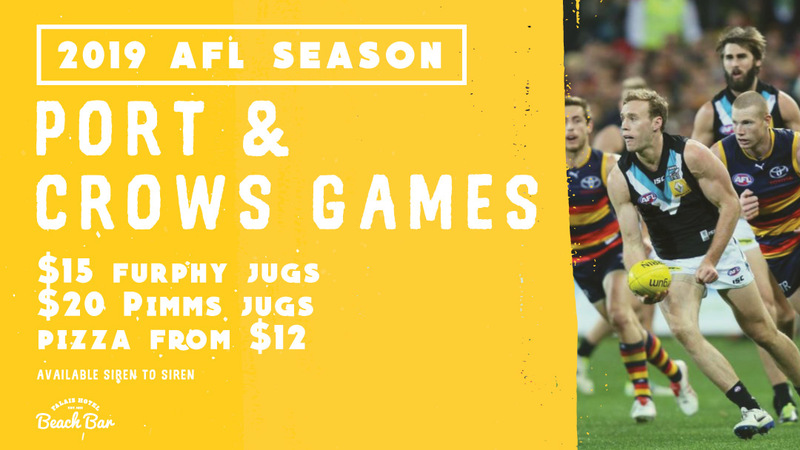 Every Adelaide Crows & Port Adelaide game LIVE ‘n’ LOUD on the big screen in the beer garden! Conditions apply – not valid public holidays. 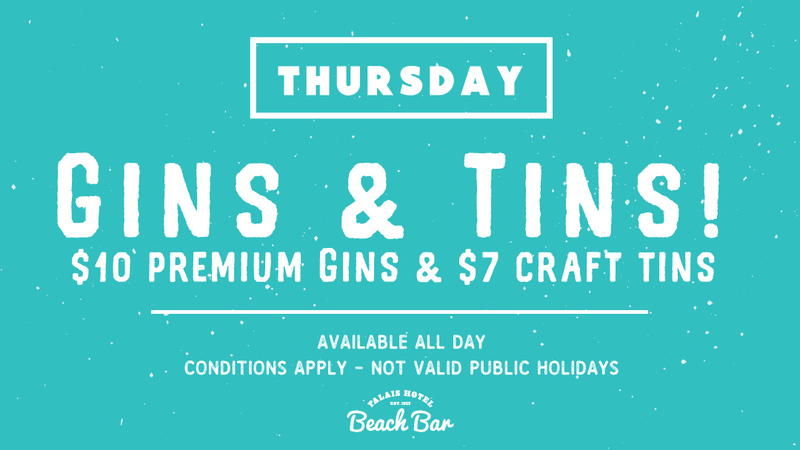 Gins & Tins in the Beach Bar. Craft Gins from $7 & $10 Premium Gins with Fever Tree Mixes. 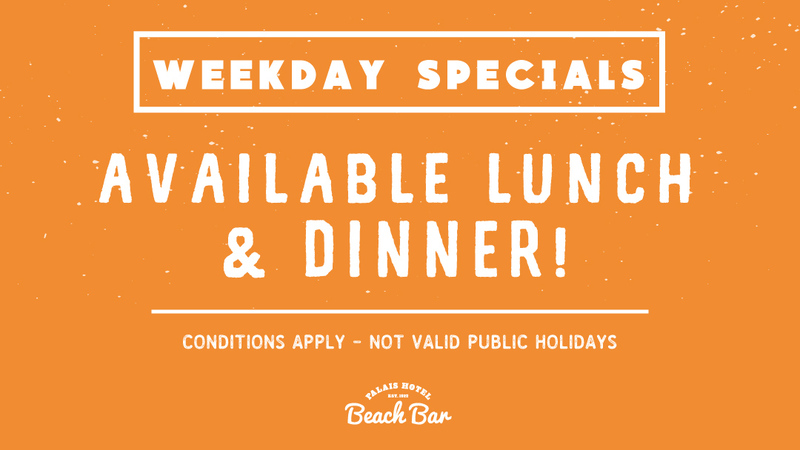 Available all day in the Beach Bar. 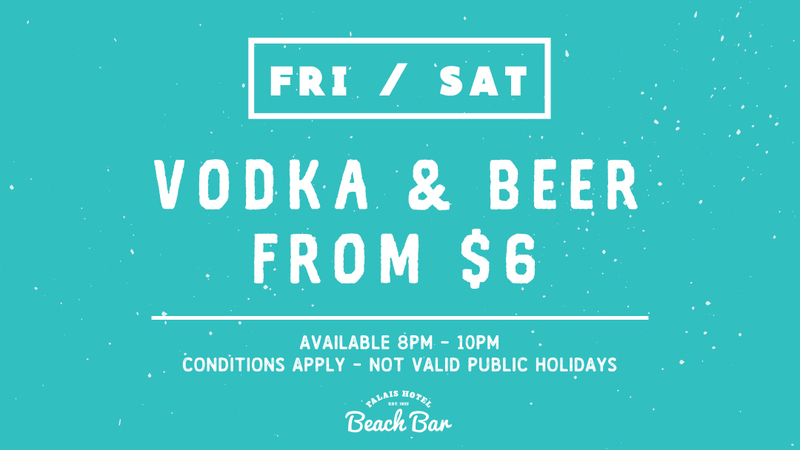 Friday & Saturday nights in the Beach Bar! PLUS DJ’s until late both nights! 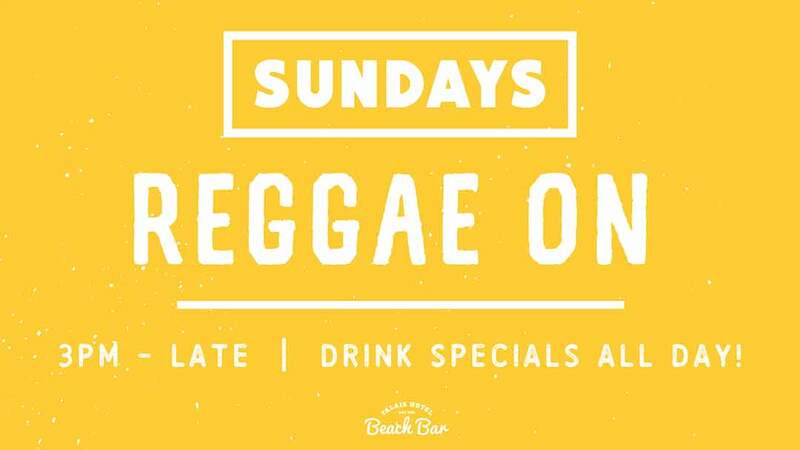 With residents Reggae On from 3 PM. PLUS DJ Matt Sammut from 6.30PM until late!